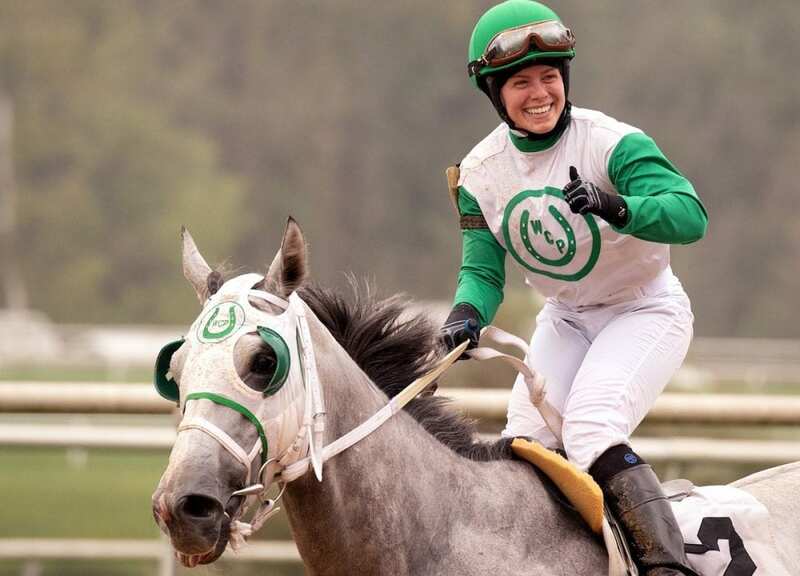 Jockey Katie Davis made a successful return to the irons on Friday, rallying Winners Circle Partners XII's His Royal Majesty to a tenacious nose victory in the sixth race at Laurel Park in Maryland, her first mount in more than 10 months. After settling His Royal Majesty in third along the rail through a half-mile in 48.18 seconds, Davis tipped the 4-year-old gelding out once straightened for home and found room down the center of the track in mid-stretch to reel in front-running Sparty and win as the 7-5 favorite. The winning time was 1:37.65 for one mile in the $28,000 starter-optional claimer originally scheduled for 1 1/16 miles on the grass. His Royal Majesty ($4.80) is trained by Hugh McMahon. The 26-year-old daughter of ex-jockey Robbie Davis, a winner of 3,382 races from 1981-2002, Katie Davis was riding in a race for the first time since finishing third aboard No Love Lost Nov. 6, 2017, also at Laurel. Winner of her first career stakes in the 2017 Conniver at Laurel with Next Best Thing, Davis underwent shoulder surgery for the second time shortly after and began getting on horses again in the mornings earlier this summer. “That was pretty hard. I had [surgery] before on my shoulder and they redid it and it's not a good feeling,” Davis said. “After surgery, it's tough trying to get it to move and get the motion back, sitting there twiddling your thumbs, wondering when it's your turn to get back. But, you have to be 100 percent. Davis has 127 wins and nearly $3.5 million in purse earnings from 1,194 career starts since her debut Dec. 26, 2013 at Aqueduct. She won her first race there Feb. 21, 2014 aboard Ivanova. This entry was posted in People and tagged jockey injuries, Katie Davis, laurel park, robbie davis, trevor mccarthy, Wesley Ward by Press Release. Bookmark the permalink.